Тревел-видео и информация o регионе Андалусия . Смотрите наши видео-гиды по Андалусия в формате HD. Andalusia or Andalucía as it is translated in its native Castellano is the southern most region of Spain and the most populated of all seventeen autonomous communities with over 8 million inhabitants. The name dates back to the Arabic ‘Al-Andalus’, which referred to the regions of Spain that came under Arabic administration, in various periods between 711 and 1492. The all year round mild climate enjoyed in Andalusia makes it one of the most popular destinations in Spain for travellers and holidaymakers who come to enjoy both summer and winter sun vacations. The famous Mediterranean resort of Marbella is a destination enjoyed by tourists from all over the world. Nevertheless Andalusia has a whole lot more to offer and the different provinces are very distinct in their character, flavour and landscape. The region is divided into eight separate provinces: Seville, Cádiz, Huelva, Málaga, Jaén, Granada and Almería. Seville is the capital and largest city in Andalusia, it lies on the banks of the Gaudalquivir River and is one of the most historical centres of Europe, its undeniably the main attraction of the province itself and is brimming with historical and cultural citations. The city is the home of tapas, flamenco and the keeper of the Archive of the Indies (the extremely valuable historical records documenting the history of the Spanish empire). Seville is a must for travellers who want to completely immerse themselves in Andalucian culture and history. Sevillanos (natives of Seville) also know how to enjoy themselves to the max; so combine history, culture and frivolity in one and you have Seville. Relatively few tourists venture beyond the capital, but its absolutely worth it if you have the time. Much of the province is cut through by the River Gaudalquivir, which sets a striking scene. In fact many of the provinces villages and towns are positioned along the river. 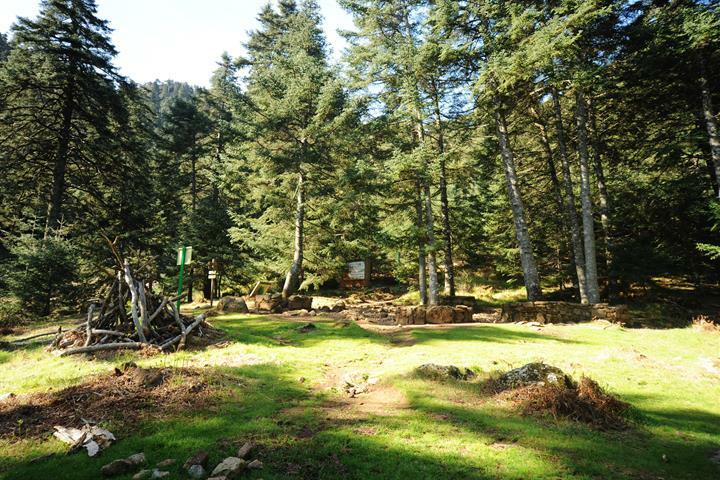 The beautiful countryside of the Sierra Morena and Sierra Norte Natural Park are fabulous locations for those who love walking, cycling and trekking holidays. Mountain villages and towns dating back to the Copper ages, quaint inns and taverns, ancient castles and pure Andalucian culture, all make for a truly rural vacation. Moving on to the province of Malaga and its famous stretch of holiday resort towns of the Costa del Sol (Sun Coast) that it shares with Cadiz, are visited by millions of tourists every year. Bordering the Mediterranean Sea, with a backdrop of mountains, the coastline has an extremely agreeable climate with warm, long summers and short mild winters with average temperatures in the winter of 17.2ºC (63.0ºF) and 29ºC (83ºF) in the summer. The province comprises of 100 municipalities stretching from the Eastern towns and sierras of the Axarquía, inland to Antequera and the Serranía de Ronda and down to Estepona at the most western point, before entering into the province of Cadiz. Malaga city itself has a population of over half a million and has a rich history spanning back 2700 years to the Phoenicians in 770 BC and is the birthplace of Pablo Picasso and Antonio Banderas. Recently the city has been nominated as a candidate for the 2016 European Capital of Culture. The coastal towns of Torremolinos, Benalmádena, Fuengirola and Marbella which were once just small fishing towns with very little to offer, now count as amongst the most important touristic destinations in Europe and are also home to a high population of foreign residents who have swapped their Northern climes for southern sun. Inland Malaga paints a completely different picture; white washed rural villages, kilometre upon kilometre of olive and orange groves, rolling countryside and ancient settlement ruins dating back to Roman and Neolithic ages. 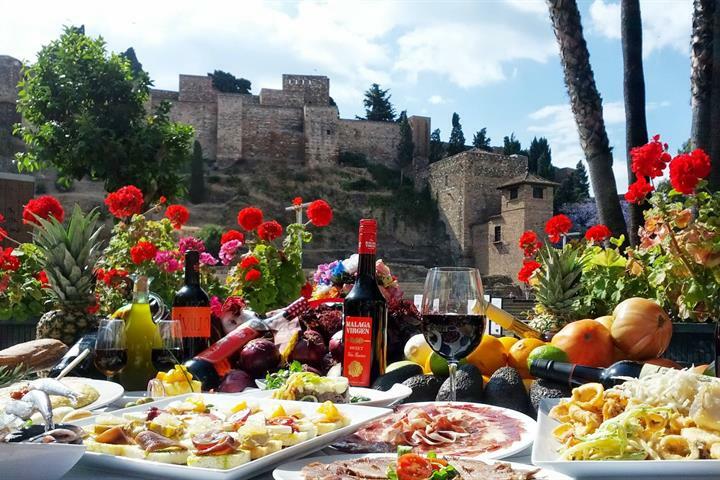 In terms of gastronomy, Malaga is noted for the great variety of fish and fish dishes offered. The famous ‘pescadito frito’ (fried mixed fish) and ‘Sardinas el Espeto’ (Sardines on the Spit) are two favourites. Furthest east, we come to the province of Almeria, again the name derives from the Arabic occupation, originally Al-Mariyya, meaning The Mirror, as it was compared to The Mirror of the Sea. The capital city of the same name, Almería was an Arabic stronghold and the principal harbour in its domain. The Moorish castle of Alcazaba, is the second largest of the Arabic fortresses in Andalusia, after the Alhambra in Granada. The province of Almeria has supposedly the most hours of sunshine and lowest rainfall in Europe, much of the province has a desert landscape and is sparsely populated. The distinct wild environment was the location for many of the Spaghetti Western movies. The dry and arid landscapes of the Taberna desert area were perfect set locations for the films of Sergio Leone. David Lean also shot some scenes there in the Oscar winning film Lawrence of Arabia. 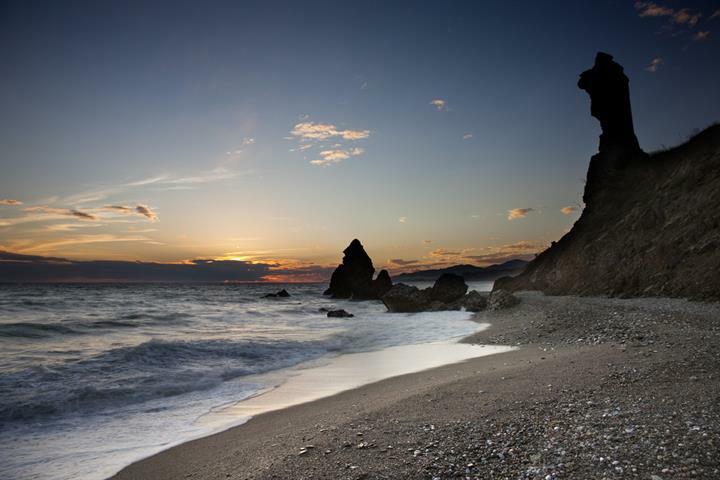 The province also boasts some beautiful natural coastal landscape, including the volcanic park of Cabo de Gata-Níjar Natural Park. The coastline is one of the most beautiful, natural and ecologically rich coasts along the western Mediterranean. Almerians of note include renowned Flamenco guitarist José Tomás ‘Tomatito’ and Grammy Award winning singer David Bisbal. Above Almeria is the inland province of Jaen, as with all of the Andalusian provinces, its name derives from the Arabic, Jayyan, and means ‘crossroads of caravans’. The province contains the largest protected land area in Spain; the rugged Cazorla Natural Park, the Sierra de Andújar Natural Park, a wooded wonderland, and the Despeñaperros Natural Park, which is one of the last remaining habitats for the endangered Pardel Lynx species. Jaen is the world’s leading producer of olive oil and much of the unspoilt landscape is a vista of olive groves, white washed farms and ancient castles and churches. 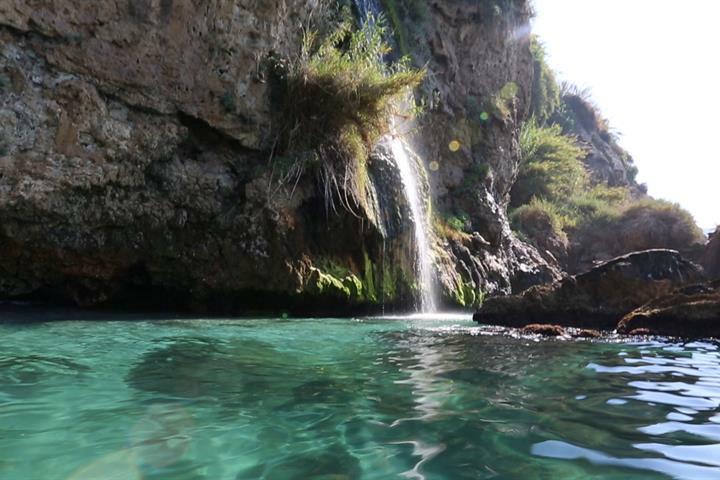 Moving west, between Almeria and Malaga, you will find the diverse province of Granada. Such is the history and beauty of the province and city of the same name, that it attracts visitors from all over the globe. The city is located at the foot of the Sierra Nevada mountain range and its slightly cooler climate reflects this. However, moving across the Genil plains, down towards the coastal area of the Granada Province, the Costa Tropical (Tropical Coast), the climate becomes warmer and more in line with the rest of southern Spain’s climate. The city itself is perhaps most famous for being home to the Moorish citadel and palace, The Alhambra. Both the 14th Century Alhambra and The Generalife summer palace are UNESCO registered Heritage Sites. The Albacín quarter, a hilly district of cobbled streets, alleyways and white washed villas, is a fascinating place to visit, once the old Moorish Kasbah, the view to the Alhambra from here is wonderful. The Sierra Nevada mountain range, which shadows the city of Granada, is Europe’s most southerly skiing resort. The range is set within the beautiful Sierra Nevada National Park, which has been named a biosphere reserve and is not just a great winter ski resort, in the summer it provides a beautifully natural setting for trekking and walking holidays. At the southern point of the mountain range is the district known as Las Alpujarras. The whole area is considered a mini ecosystem. Deep valleys and gorges that snake their way down to the Mediterranean, the area is one of the most fertile in Spain, with terraced farmlands, which maintain their watering system by the constantly melting snow from the Sierra Nevada mountains. Now we take a leap past Malaga to the point of Spain that nearly touches nose to nose with Africa, the province of Cadiz. Stretching from San Roque, passing the British territory of Gibraltar, and finishing at Cadiz city. Here the Mediterranean Sea ends and the Atlantic Ocean starts. It’s capital city, Cadiz, is the oldest inhabited city in the Iberian Peninsula and possibly in all of south-western Europe. The city juts out on a peninsula and is completely surrounded by sea; you can catch a boat across a stretch of water to the beautiful village of Puerta Santa María. The old city has a very Moorish feel, however, there is also a Cuban influence in Cadiz, as Cadiz and Huelva is where the Spanish armadas left to conquer the Indies. It’s a very easygoing city; the Cadiz Carnival in February is famous throughout Spain and the city is very popular with language students who come to learn Spanish and soak up the local culture. However, the largest city in the province is in fact not its capital, but the city of Jerez de la Frontera, the home of Sherry; also famous for horse and cattle breeding and flamenco. The city dates back to Moorish times, as does so much of Andalusia, but aside from this, Jerez has a very dignified presence, families with a long line of ancestry give Jerez an aristocratic air. The hip and trendy town of Tarifa is also found in Cádiz. The town and surrounding beaches are very popular with wind and kite surfers due to the strong winds from the straits, because of the high winds in the area; the landscape is dotted with Wind Turbines, creating natural energy in the region. Our final destination in Andalusia is the province of Huelva, which sits between Cadiz and Seville, and borders both Extremadura and Portugal. Huelva’s best export is the Doñana National Park, one of Europe’s most important wetlands and a biosphere reserve. 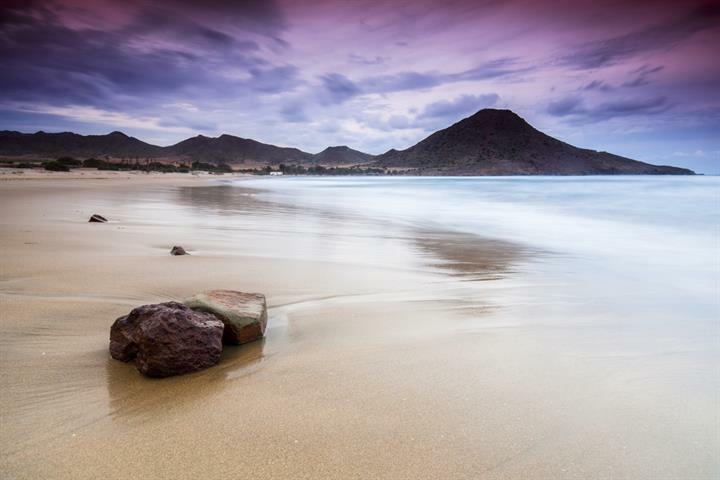 It’s one of the least visited provinces of Andalusia, but that doesn’t make it the least attractive, the region boasts miles of beautiful unspoilt beaches of golden sand, known as the Costa de la Luz (Coast of Light) and is rich in wildlife and natural scenery. The maritime city of Huelva is located on the Gulf of Cadiz coast; it’s smaller in comparison to its counterparts, with a population of around 150,000. It’s been inhabited since 3000 BC and boasts the oldest football club in Spain, not dating back quite so far!